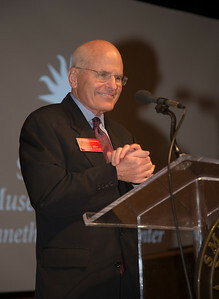 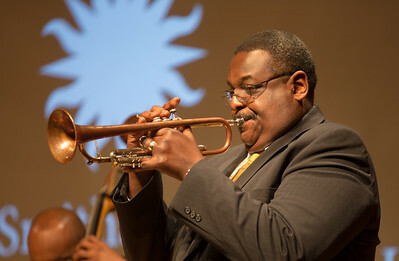 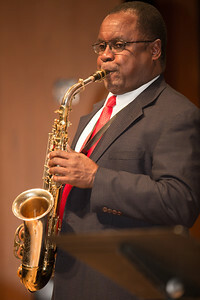 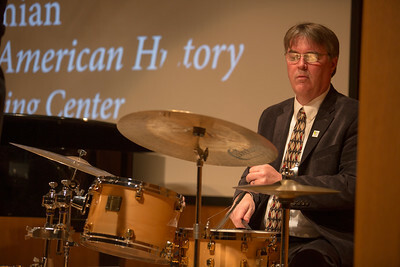 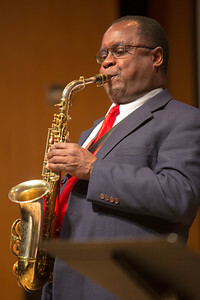 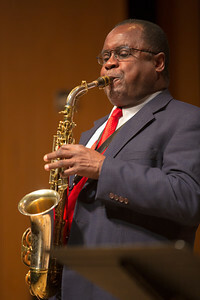 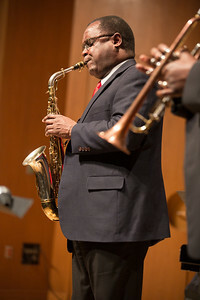 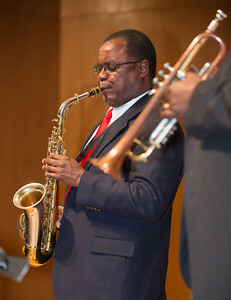 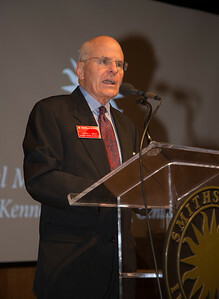 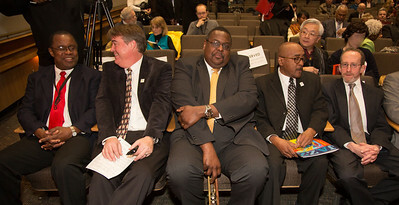 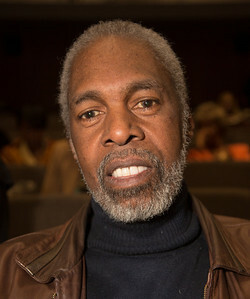 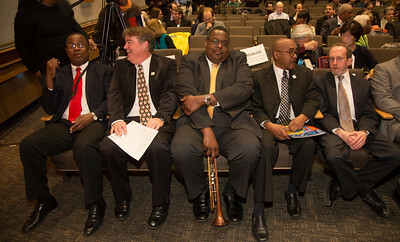 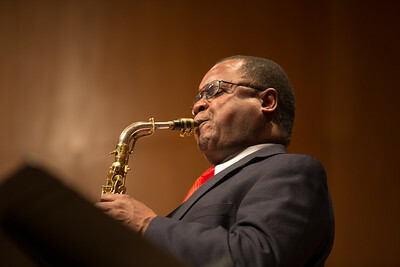 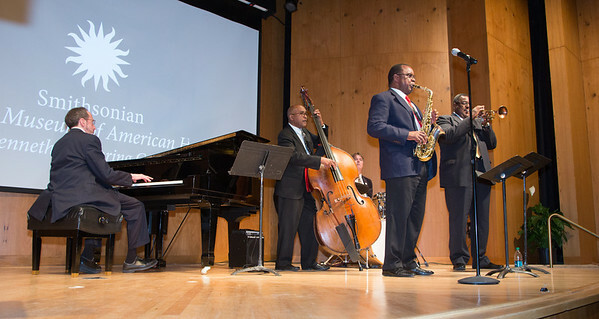 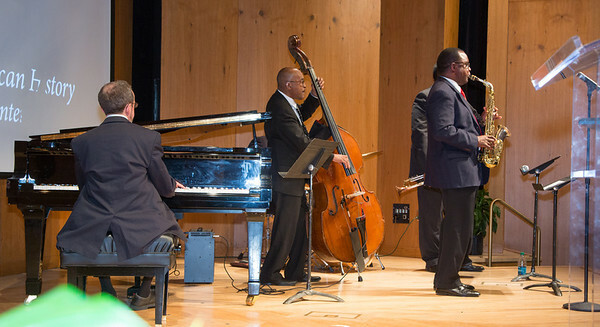 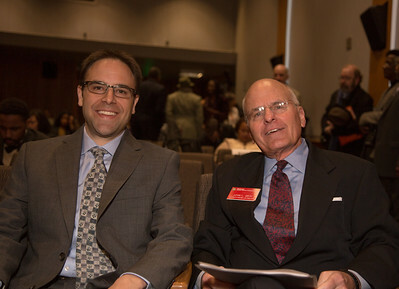 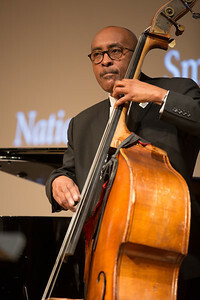 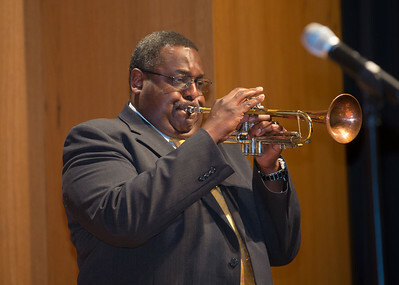 March 26, 2014 The Smithsonian's National Museum of American History kicked off the 13th Annual Jazz Appreciation Month with donations from the family of the late jazz great John Coltrane and from notable jazz photographer Chuck Stewart at a special donation ceremony in the museum's Warner Theater on March 26. 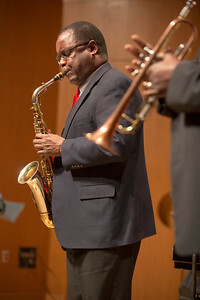 The date also marked the 50th anniversary of John Coltrane's "A Love Supreme," widely considered one of the greatest jazz albums of all time. 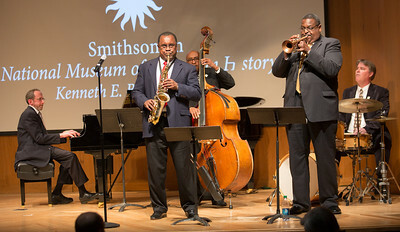 John Coltrane's Selmer Mark VI tenor saxophone, made in Paris about 1965, the year "A Love Supreme" was released, will join the Smithsonian's jazz collection. 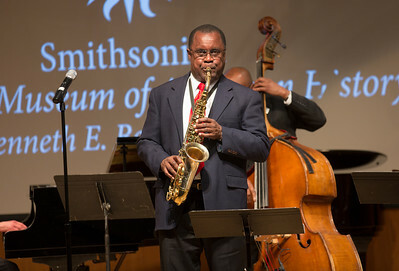 The saxophone was one of three principal saxophones that Coltrane that (1926-1967) played and will be on view in the "American Stories" exhibition at the Smithsonian starting June 17. 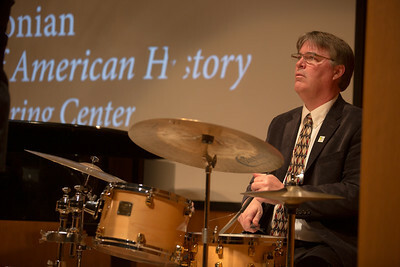 The museum will also be displaying Coltrane's original score of his masterpiece. 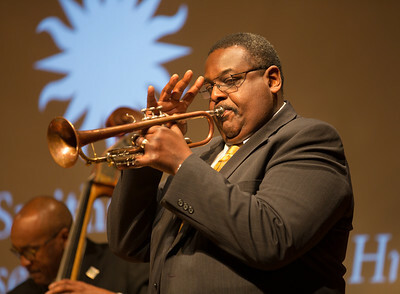 The Smithsonian's jazz collection includes such treasures as Dizzy Gillespie's trumpet and Herbie Hancock's cordless keyboard, currently on display. 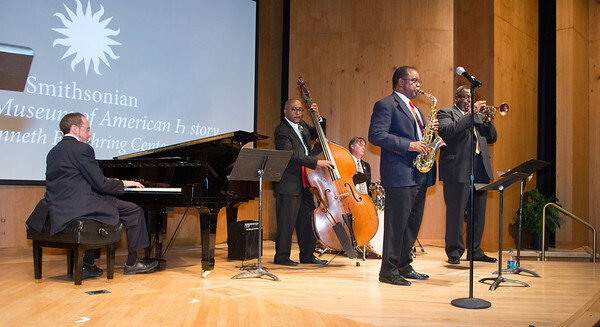 The museum also houses 100,000 pages of Duke Ellington's unpublished music. 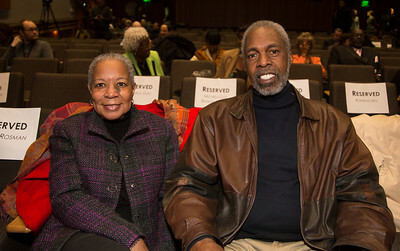 Sharon Holston, Joseph Holston who designed the poster for Jazz Appreciation Month. 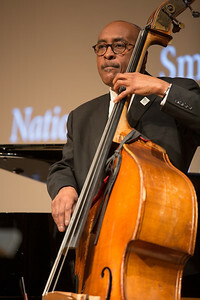 Joseph Holston designed the poster for Jazz Appreciation Month.